Essentially as the name suggests, engine braking is using the engine run down (cutting off the source of power) whilst the motorcycle is in motion to slow the bike. Rather than using the motorcycle brakes to slow the vehicle, you would close the throttle, keep the bike in gear and the clutch engaged. With the engine being under compression along with the friction generated by all the internal components moving, the result is to slow the motorcycle down. Engine braking slows the bike down faster than if you were to freewheel, which would effectively be to disengage the engine by either fully applying the clutch lever or selecting neutral. Does Engine Braking Harm the Engine? 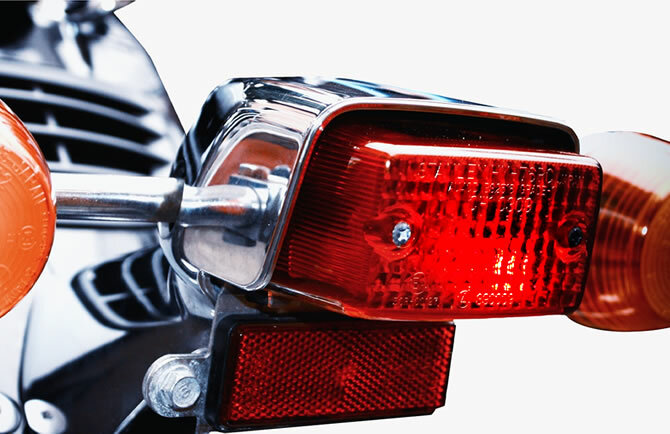 Engine braking whilst riding your motorcycle will not have any adverse effects on your motorcycles engine. Should I use Engine Braking Whilst Riding? Every rider does it to a certain degree, but the question is whether you should employ this braking technique specifically as a means to slow down rather than using the brakes. The answer is generally no. When using the brakes, you are under full control of your motorcycle and are able to influence the speed of your vehicle with accuracy. Much less so when using engine braking only. Another, potentially more dangerous issue is the absence of the brake light. You should be a visible as possible to other road users whilst riding and slowing down without a brake light informing other roads users of your intent is not advised. So Engine Braking is Bad? The answer to that is also no. The best method is a combination of engine braking and traditional braking. Anticipating a situation in the road well in advance allows you to slow down in good time by using a combination of engine braking which allows you to slow down naturally so reducing brake wear and reduce fuel consumption, and to simultaneously use your disc brakes so to keep good control and to alert other road users of your intention by gently applying them gently and progressively.